This is three day Upadrava Nashak or Problems, Disturbances, Nuisance, Dangers and Diseases Resolving Mantra Experiment. These Upadrava also include those disturbances created by enemies, malefic planets, rivals, black magic spells, paranormal beings likes ghosts, spirits and demons. The procedure given below should be followed in order to perform this Upadrava Nashak Mantra Prayog for resolving your problems. 1] Sit on any colored aasan and face the east direction, while performing the Mantra Prayog. 2] Light a Diya, Dhoop and offer Naivedya to the deity “Ghanta Karani Mahaveeri” whom you wish to invoke for resolving your problems or finding solutions to the problems faced by you. 3] Then, chant the ; Ghanta Karani Mahaveeri” Mantra given below 3500 times, using a Rudraksha Beeds Japa Mala to count the prescribed number of Mantra Chants. 4] After, completing the prescribed number of Mantra Chants, face the west direction and offer 1000 small pieces of Guggulu to the Agni of a Havan. 4] Each piece of Guggulu should be taken in the right hand and the Mantra should be chanted once in order to infuse the Guggulu with the Mantra Shakti. Then, offer the Mantra Infused Guggulu to the Havan. The same procedure, given above should be followed for all the 3 days of this Upadrava Nashak Mantra Experiment. Notes- Most people have heard about the popular Jain deity Ghantakarna Mahaveer who is invoked for resolving problems or for getting protection from dangers and calamities. But there are very few Mantra Experiments dedicated to the Ghanta Karani, who as the name suggests is a feminine deity. 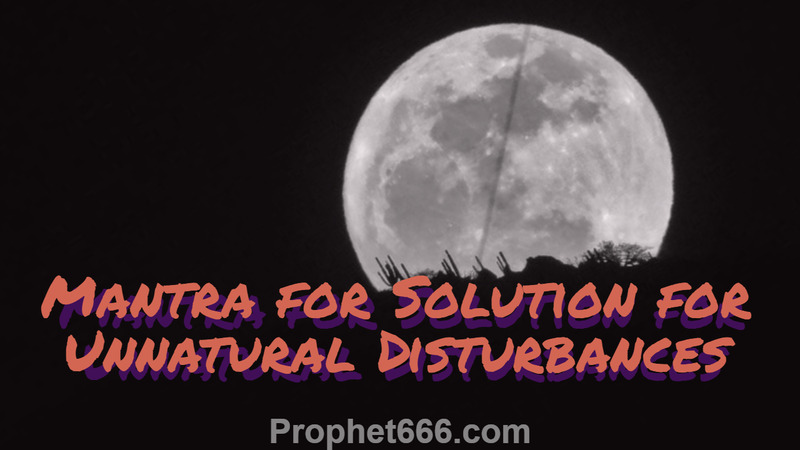 This is also a Mantra Experiment for getting freedom from all kinds of problems and difficulties, including known and unknown paranormal ones. As this is basically a Jain Mantra Prayog, the practitioner should refrain from consuming non-veg food and maintain celibacy during the 3 days of the Mantra Prayog. He should also control his emotions and refrain from getting angry, speaking ill about others or engaging in gossip.